Acadian Coast of New Brunswick. That's a great shot Paul. Compared to me you're a PRO! 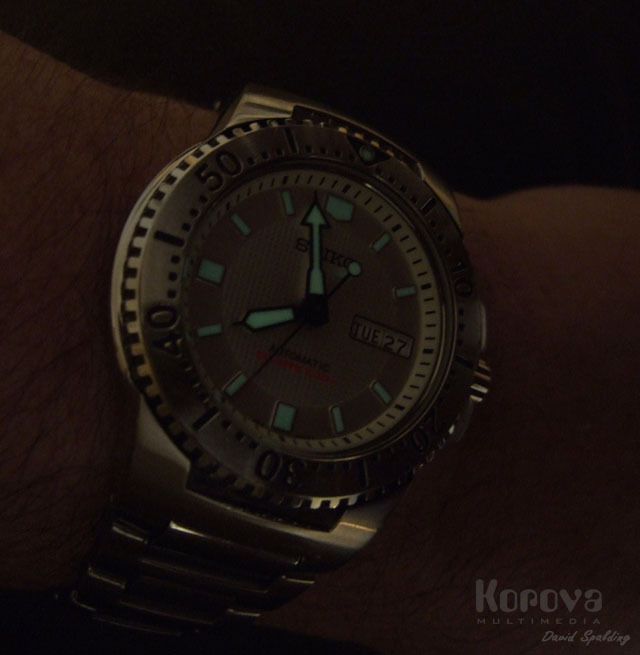 how do you take the pic to show the second hand in a time lapse king of fashion? Great Paul, both look really good, great watches. I like lumes shots when you can still see all the other details..
cheers vamos, im off to learn how to adjust the exposure and try it myself. 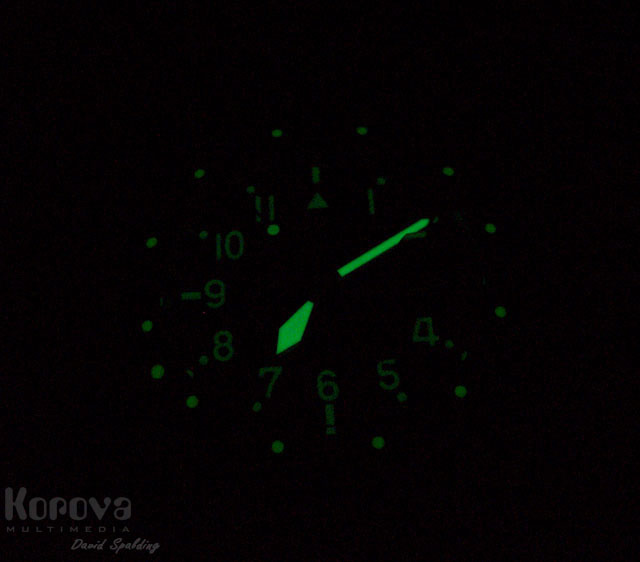 Nice, i've been really impressed by some of the lume pics i've seen, will have to get my DSLR out and have a go! I've been inspired to have a go at that myself. I haven't got a DSLR either. 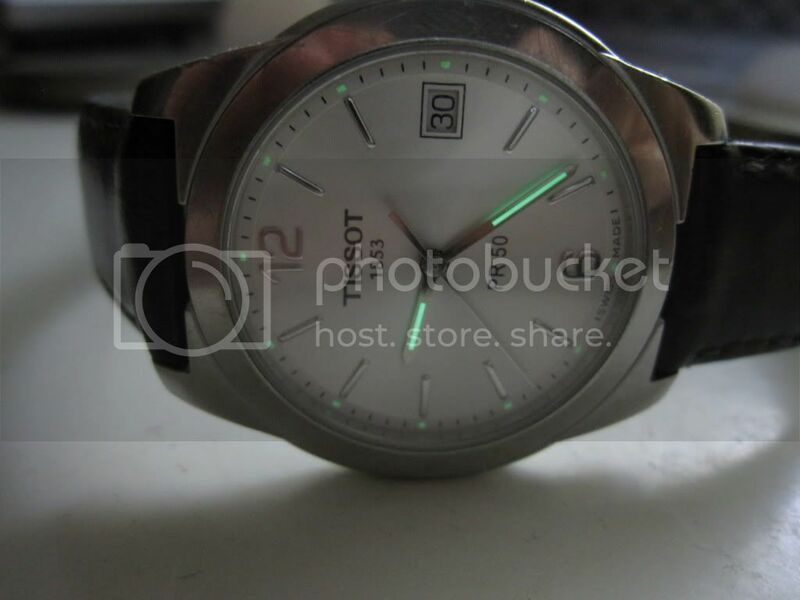 This was done on a Canon digital IXUS compact with a 1 watt LED lamp providing the ambient light. Here's a couple I took earlier. Not sure what camera it was, some panasonic that was lying around at my parents house! 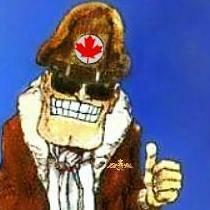 Came out quite well I think - better than some of my previous efforts. 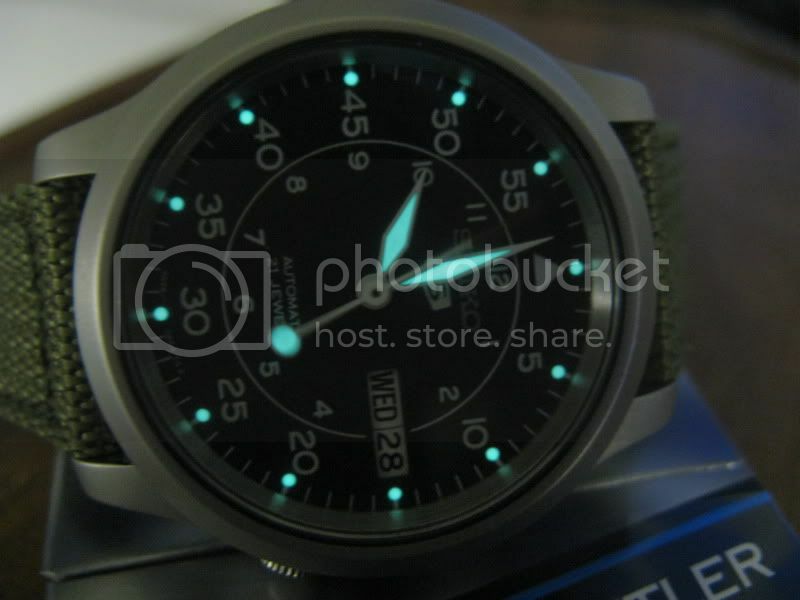 Great pictures indeed and a terrific watch! Thought I'd add to my old thread rather than clog things up with a new one (?) 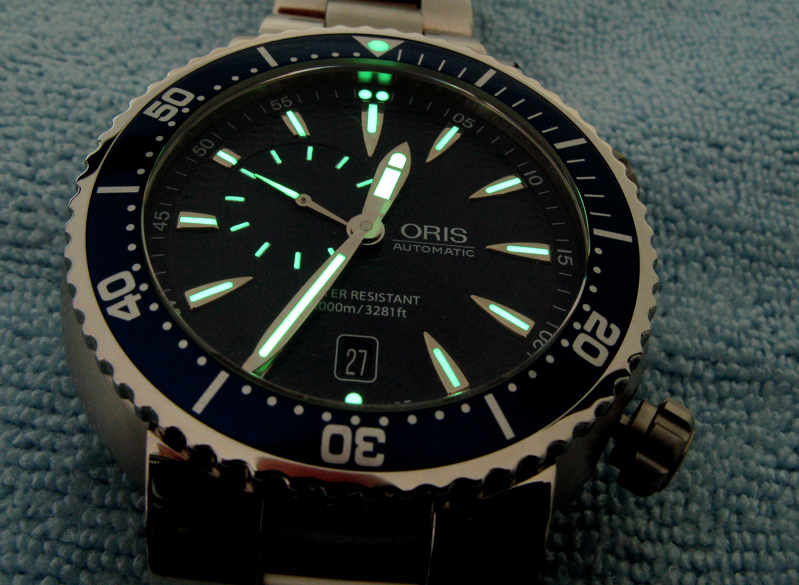 - My two latest watches have stunning lume - The Fortis can literally be used as a torch & I love the fact that the seconds dial on the Oris has it's own lume - Enjoy! 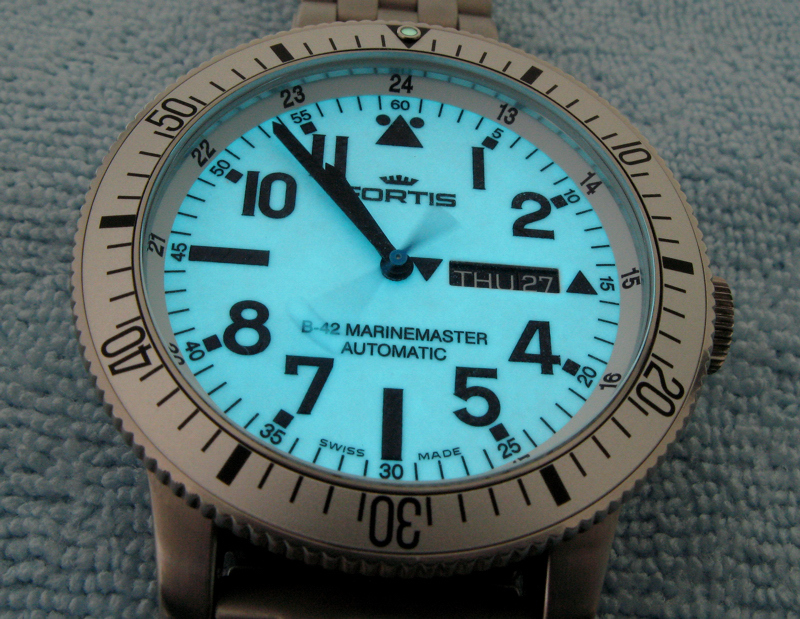 Always had a soft spot for Oris. 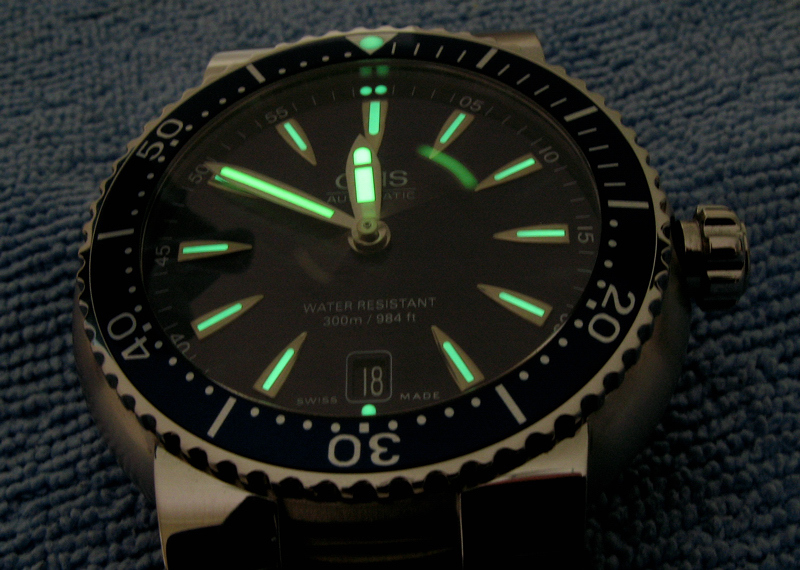 Often my watch just doesn't work well in dim light. It overcompensates ... it adjusts to a monstrously low white level ... but in the last 24 hours, my Fujifilm E900 (9MP, with RAW capability, though neither of these were taken in RAW) has come through quite nicely. Brought a smile to my face even. Minimal editing in Photoshop other than adjusting the white level down to the proper threshold, and maybe boosting saturation 10%. ... Let's see your best night moves. Neither am I, just taken this picture well you were posting this, snap you might say. 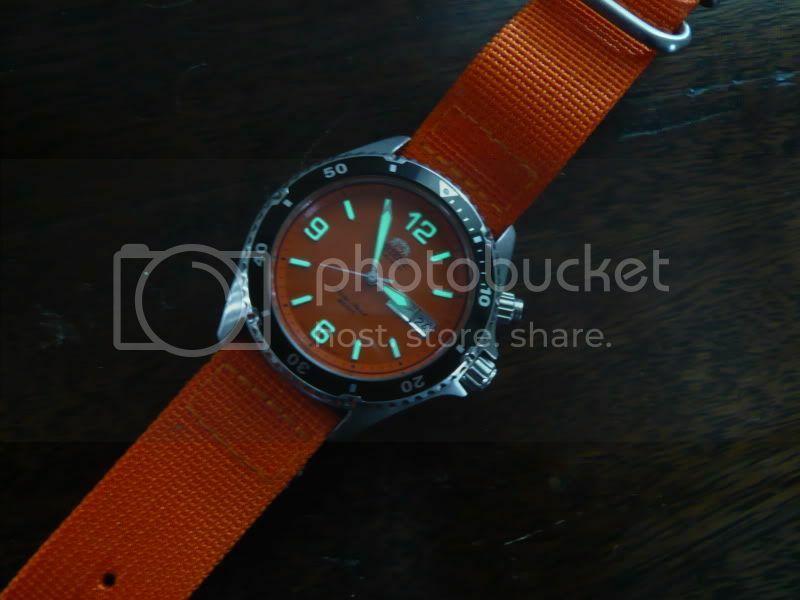 Thanks for the watch. 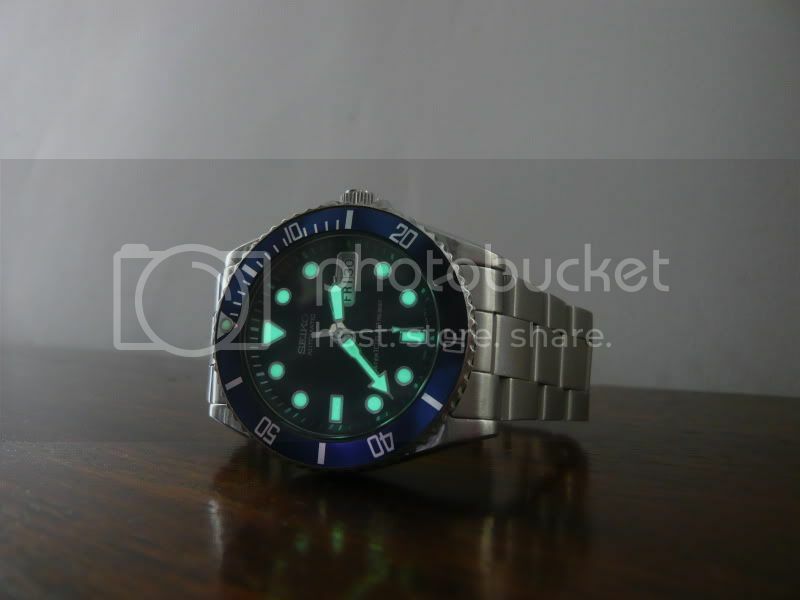 I've found nothing better than shining my Honda Euro Accord's HID (Xenon) headlight onto a watch for about 2-4 seconds. 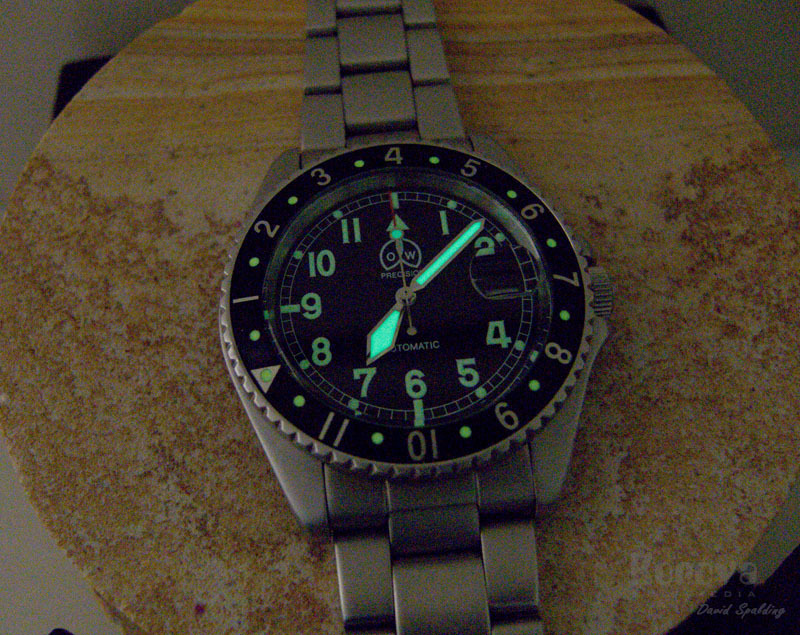 I have to find a big enough black light to illuminate the dial and bezel ... little "dog pee discoverer" ones are too focused. Oh, I have a small, powerful LED flashlight (charges in the lighter socket of the car) does a bang up job, too. 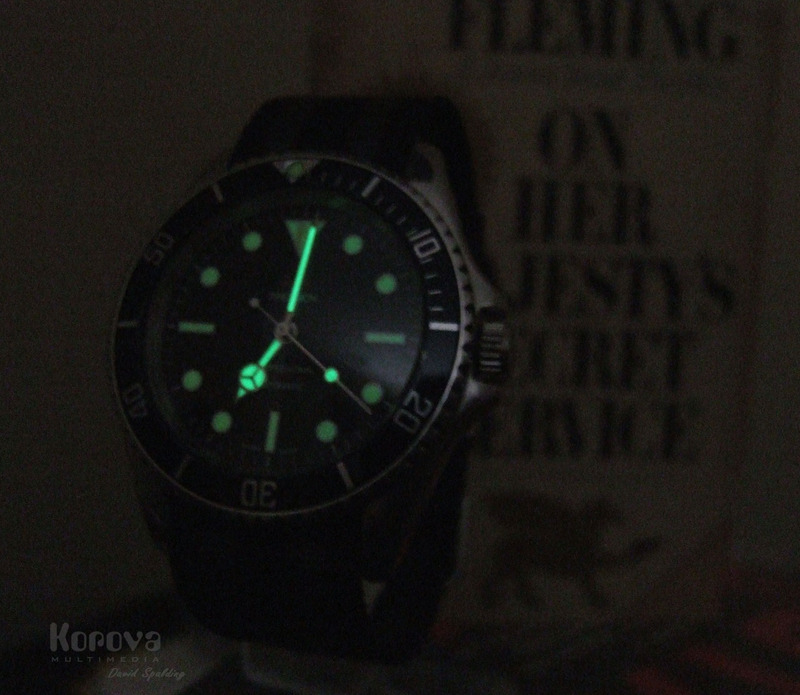 I forgot about these pics I took when I got my M5 ... taken in a darkened room at dusk, with lume charged 5 mins prior in another room. 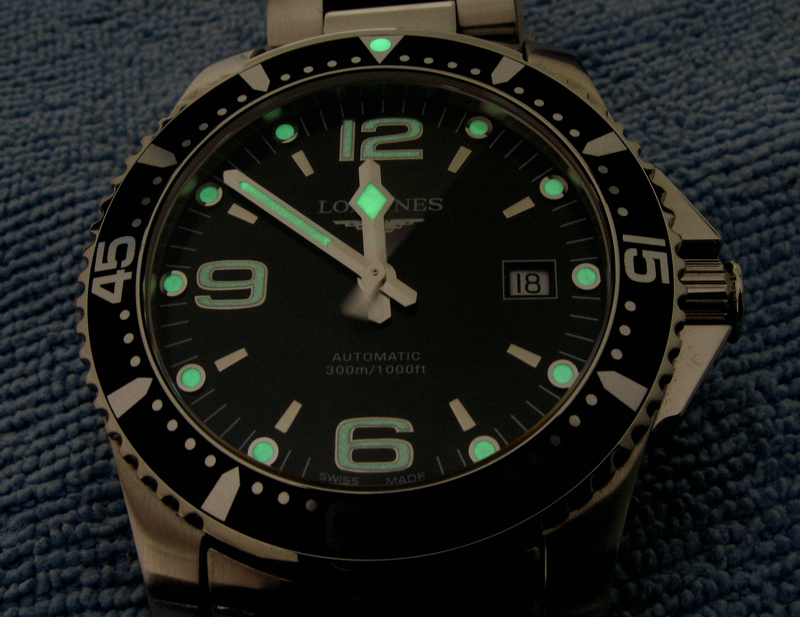 Yikes, the lume on those Omega hands really glow right (and long).